We have been trying to get back to somewhat of a routine after the hustle and bustle of the Holidays. As I am sure all of you are too. I will take any suggestions on how to make it happen?! (HELP) Hudson has not been participating well. He will not go to sleep until 10-10:30 which is awful and wakes up at 6:30. Translation one cranky toddler every day and one tired mama. He has been whiny and fighting me on everything. Including, bath time, which is so strange for him. Usually, I find him fully clothed sitting in the tub waiting for the water. 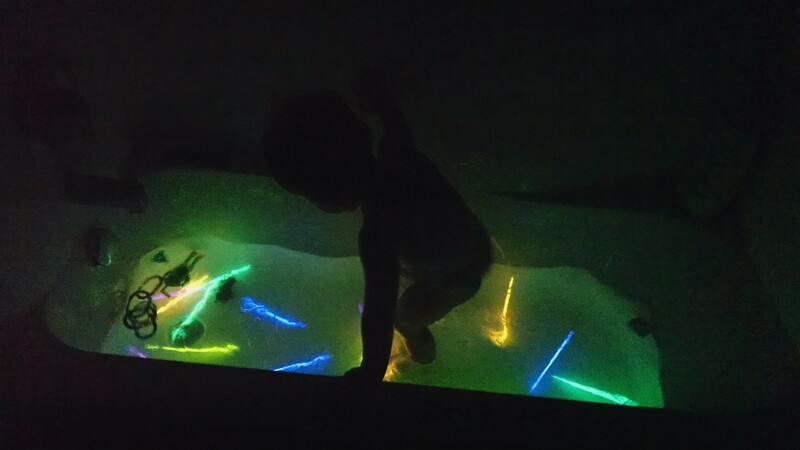 I had to think of something to get him happily into the tub so we could get back on track and into bed at a reasonable time. 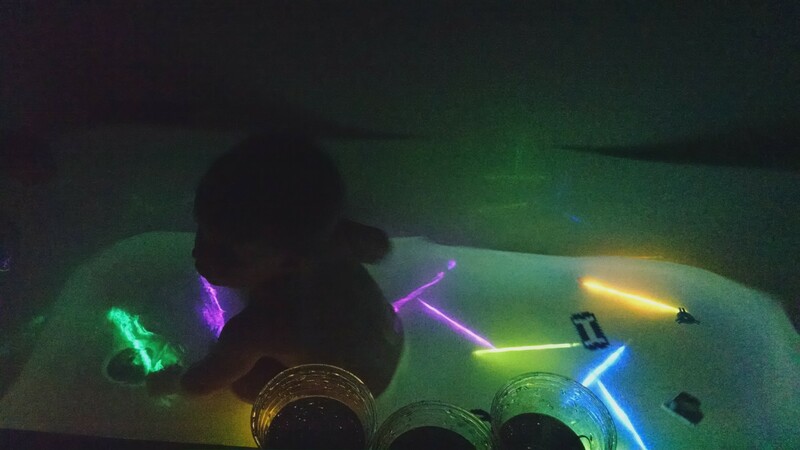 I remembered at Halloween he found a glow stick and I tossed into the tub. 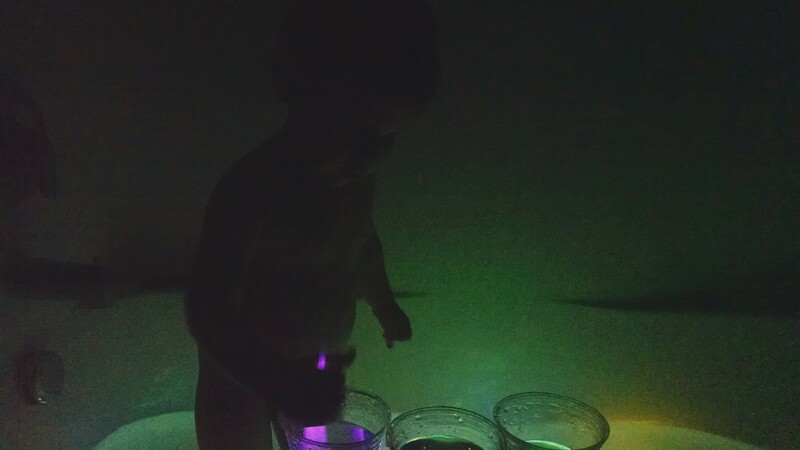 He thought it was pretty cool. 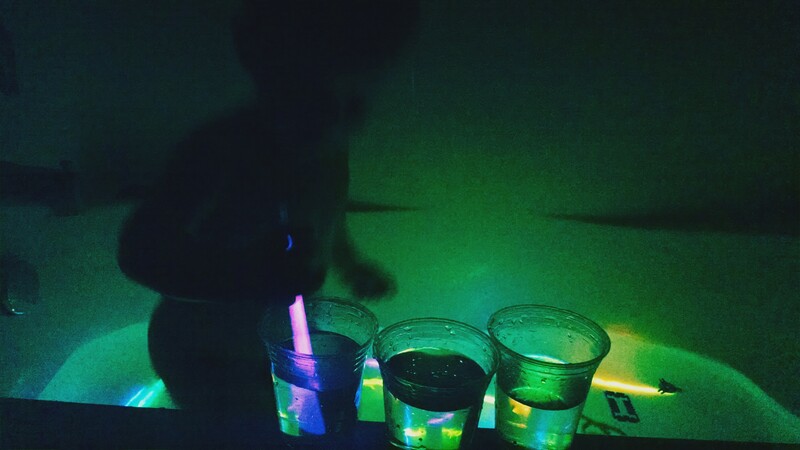 What could be more fun, uh an entire container of glow sticks! 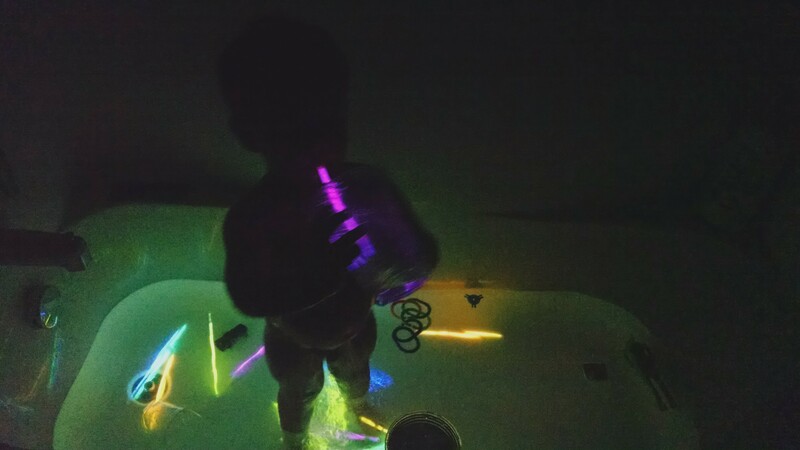 Let’s just say he was ticked when he had to get OUT of the tub. But he was in bed much earlier! WINNING! What tricks to you have to get your kiddo back on track?